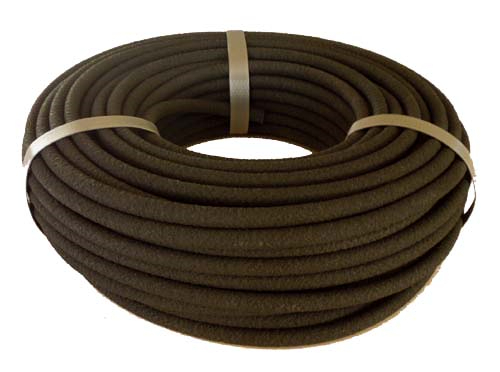 Mini 1/4" Bulk Soaker Hose is ideal for watering flowers, vegetables, tress and shrubs. Can be used in small areas such as pots, planters and window boxes. Made from 70% recycled rubber and 30% recycled plastic. UV inhibitors added. The flow rate is .3-.4 gpm per 10' at 10 psi. Burst psi is 50 lbs. Always use a pressure regulator! How to Install 1/4" Soaker Hose.